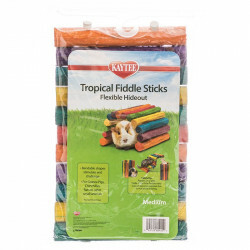 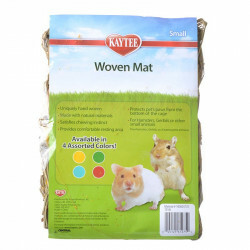 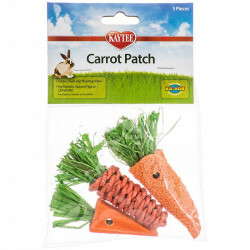 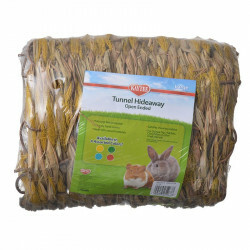 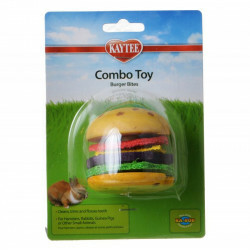 Small pets like rabbits, guinea pigs, hamsters, chinchillas, ferrets, rats and mice love to chew! 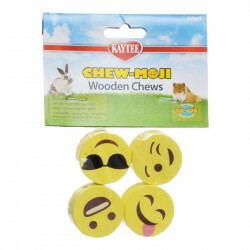 Chewing for them is a natural instinct, and one that has to be regularly exercised in order to prevent stress. 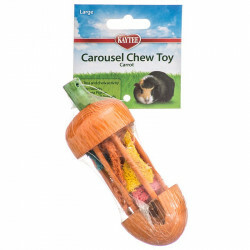 If the chewing need is not relieved, it can lead to "problem chewing" in which furniture, fingers and carpets are chewed beyond recognition. 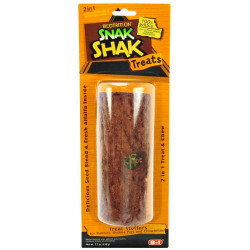 In addition to relieving an unquenchable natural need, promoting your small pet's chewing instinct helps keep its teeth trim and short. 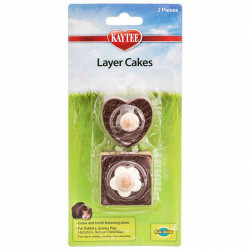 In the wild, these animals' natural diets whittle down their large front teeth to prevent them from becoming too large and unwieldy, and it is important to provide them with a way to do this as pets as well. 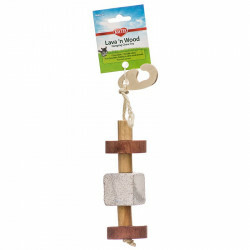 Pet Mountain's Small Pet Chew Toys store features top quality products from the most trusted names in small pet care, including Super Pet, Ecotrition, T-Rex and more. 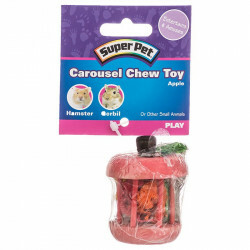 The Super Pet Nut Knot Nibbler is a ball of fun for small animals. 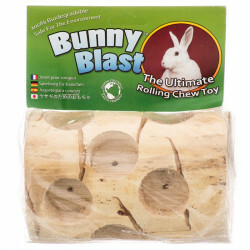 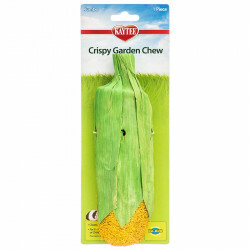 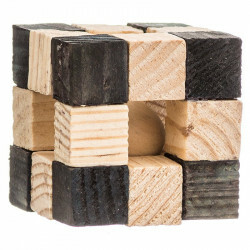 Pets will nibble and gnaw this wooden chew toy to reach an all natural surprise inside - a real nut! 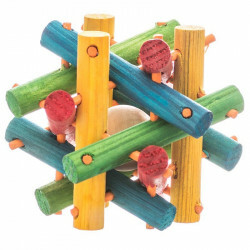 The Super Pet Nut Knot Nibbler is made from all natural wood and safe vegetable food colors, making it a perfect chew toy for rabbits, guinea pigs, hamsters, gerbils, chinchillas, pet rats, and other critters! 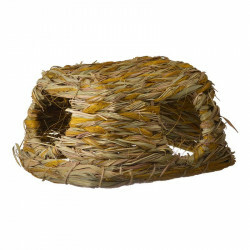 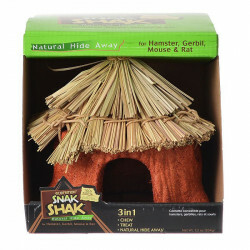 The Ecotrition Edible Snak Shak Activity Log is a 100% edible hide away for small animals. 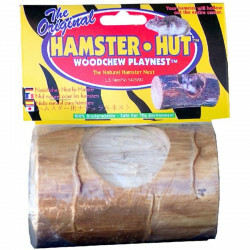 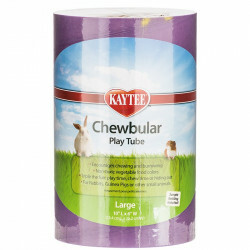 Made with fresh alfalfa and golden honey, this chewable log provides a fun hideaway. 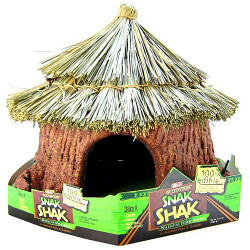 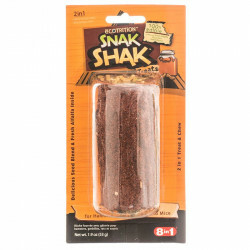 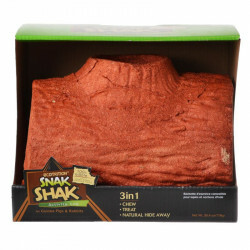 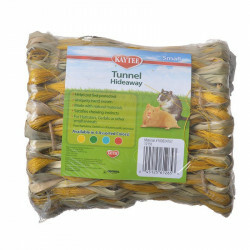 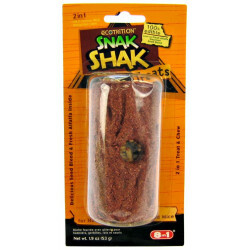 The 100% Edible Ecotrition Snak Shak Natural Hide Away is great tasting treat, a natural "den" to provide a feeling of safety, and promotes small animals' natural chewing instincts.